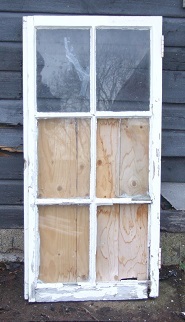 This is a sash (a sash is the part of the window that opens, either side or top hinged or horizontal sliding as seen in 19th century properties) from a window in an early Victorian building. 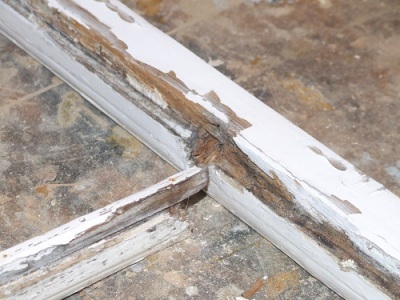 The customer had asked for it to be repaired rather than replaced, this happens quite often in listed buildings as the current legislation requires permission from the local authority for the replacement of windows and doors but not for their repair. This can though turn into a 40 year old broom which has had 3 new handles and 30 new heads. Interestingly depending on the condition of the sash it can be cheaper to have a new one made rather than repaired on a building that is not listed. 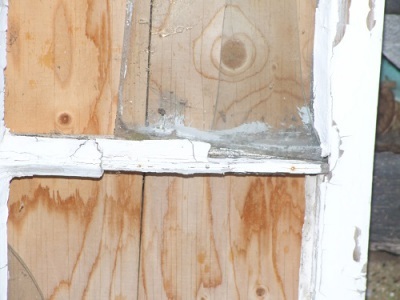 It has to be remembered that with a listed building any free standing building or structure within the curtilage built before the 1st of July 1948 is also considered to be part of the listed building, this can include sheds, walls and fences. 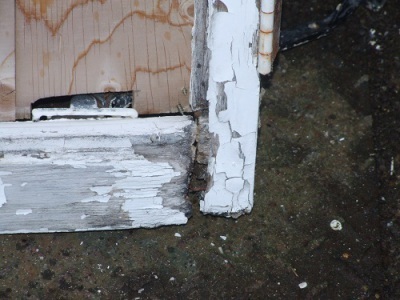 As you can see this sash has suffered over the years, three panes of glass broken, wet rot to the bottom rail and glazing bars and a broken tenon. 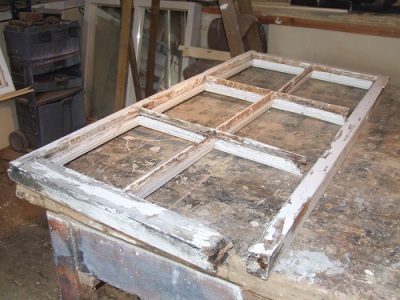 The frame has suffered also probably due to the fact that the window is some 12m above the ground and it has not been painted since I last repaired it 22 years ago. I decided to replace the bottom rail, all the glazing bars and splice a section into one of the stiles (the part of the sash running from top to bottom).